Apparent Dip: Activate interlock! Megathrusters are go! Activate interlock! Megathrusters are go! I have yet to see the new Transformers movie, but in a related movie post.... A few days ago I made a comment on Ron Schott's blog comparing the geoblogosphere to Voltron, Defender of the Universe. The basic idea is that we as a community are all creating something much larger and greater than our own blogs. 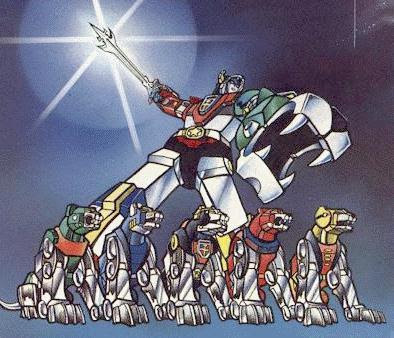 That reminded me of Voltron, and no, not the lame-o vehicle Voltron but the excellent one where there were 5 lions that formed Voltron. Long story, but I was then messing around on iMDB and found out that there is a Voltron movie in production as we speak, ready for 2008.